AT&T and its executives were leading and vocal proponents of the Tax Cut and Jobs Act of 2018, making specific promises on how large corporate tax cuts would benefit American workers. The company's behavior since those tax cuts were enacted has directly contradicted those promises. 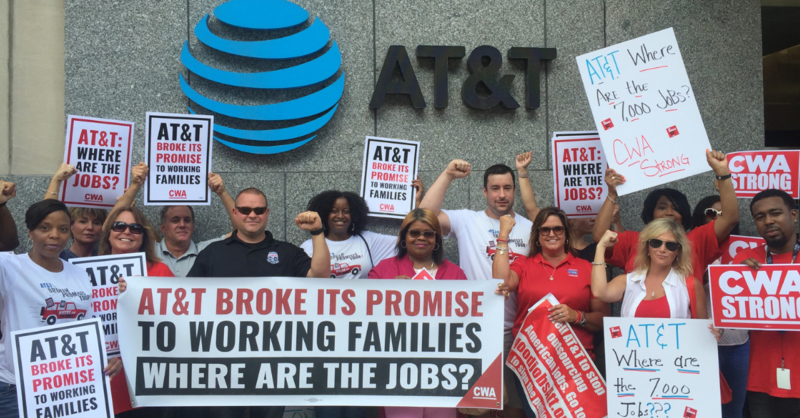 AT&T has refused to provide information that would allow its employees to hold the company accountable. Congressional oversight will ensure that AT&T executives are held accountable for their promises. AT&T reaped an enormous windfall from the Republican tax cuts. AT&T profits in 2017 rose to $29.45 billion, up from $12.98 billion the year prior. This reflected a $20 billion boost from the Tax Cuts and Jobs Act in the form of a reduction of future tax liabilities on AT&T’s balance sheet. 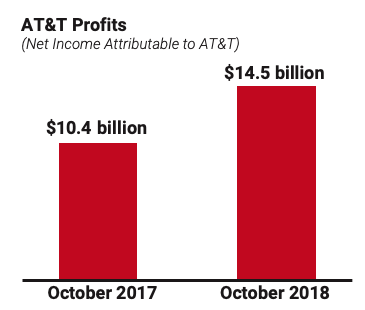 AT&T profits through the first 3 quarters of 2018 were $14.5 billion, an increase of nearly $4 billion over the same period in 2017. Payments to shareholders through dividends and buybacks over that same period account for 72% of these profits. AT&T said it expected a $3 billion annual increase in cash profits starting in 2018 as a result of the tax cuts.